Home / bath bomb / bath salts / beauty / fooddrink / foodie / kfc / news / viral / Smell like fried chicken with the new KFC-scented bath salts! Smell like fried chicken with the new KFC-scented bath salts! You have to hand it to Japan when it comes to weird things; the nation is full of them! 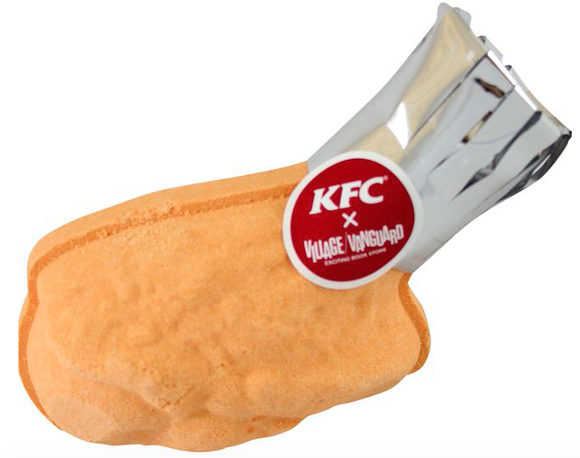 The latest one to join Japan’s weirdest inventions is bath salts or a bath bomb that smells like Kentucky Fried Chicken – yup, you read that right, KFC! 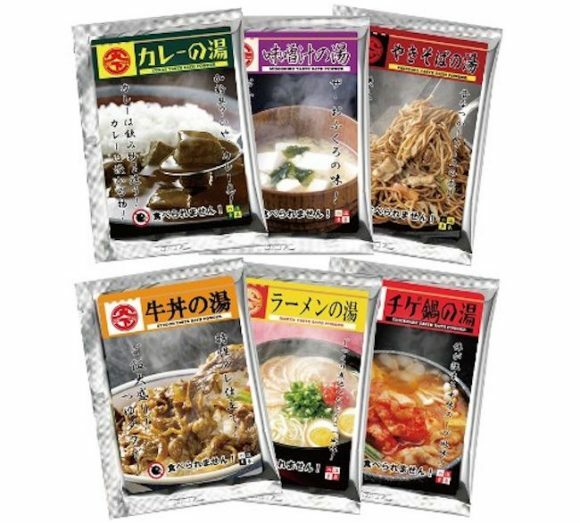 The product is created in collaboration between KFC Japan and novelty store chain Village Vanguard, a Japanese novelty store chain which previously created other food-flavoured bath salts like miso soup, ramen and curry-scented ones. If you love the smell of the finger-licking chicken, then you’re in luck! 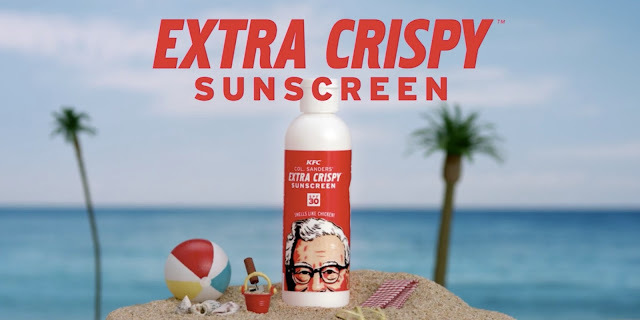 Because with the new KFC-scented bath salts, you can now soak in Colonel Sanders’ eleven secret herbs and spices, and have your body smell delicious all day long! The KFC bath salts not only smell like the sinful fried chicken, it actually looks like one too! 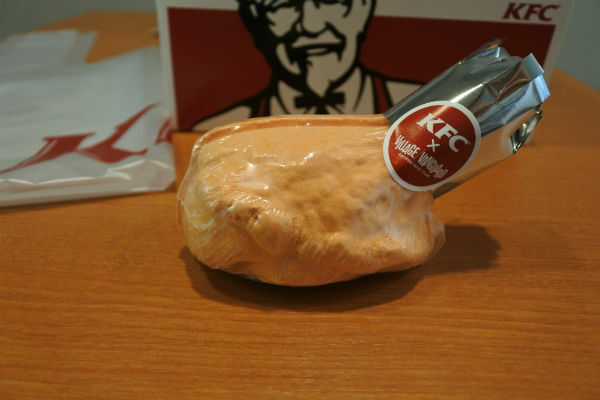 Shaped like an actual piece of chicken drumstick, the bath bomb is also packaged in the iconic KFC red and white box, so make sure you don’t get it mixed up with the real fried chicken! 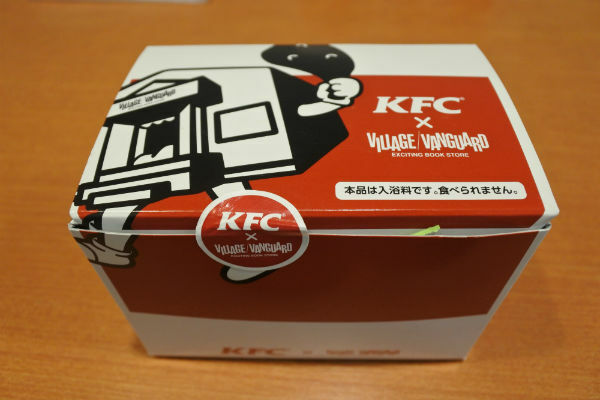 This is not the first time KFC ventured into the world of beauty and personal care, the food chain previously introduced edible flavoured nail polish and a fried chicken-scented sunscreen.